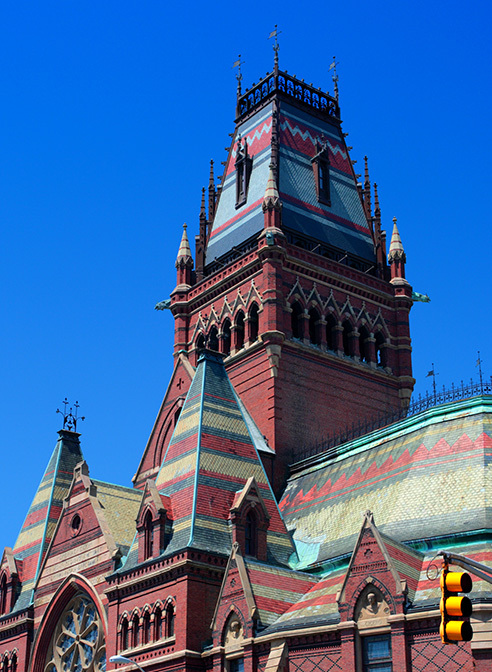 The Steeple Tower Memorial Hall at Harvard University in Cambridge, Massachusetts is an important part of the campus, and has a long and interesting history. Memorial Hall was first created out of a desire to commemorate alumni that were killed in the American Civil War. The plans were drawn in 1870, and the building was in use by 1874. 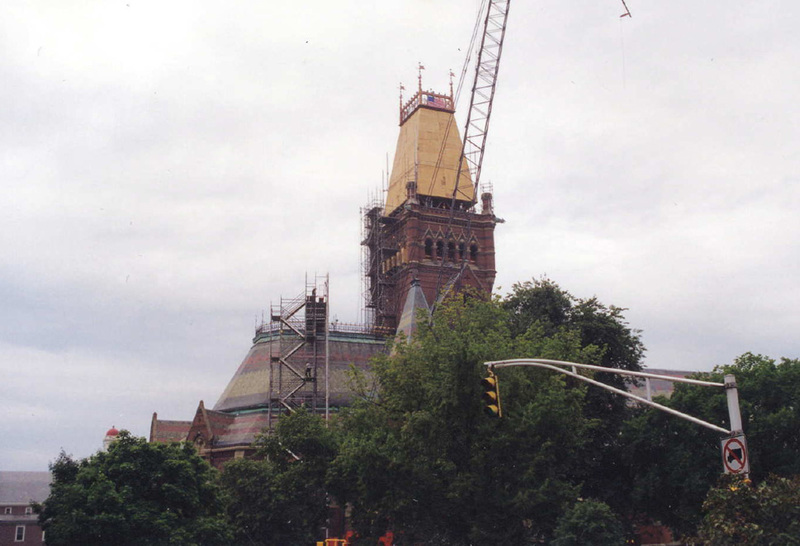 However, after a devastating fire in 1956, the copper and slate spire that topped the building was destroyed and never replaced. 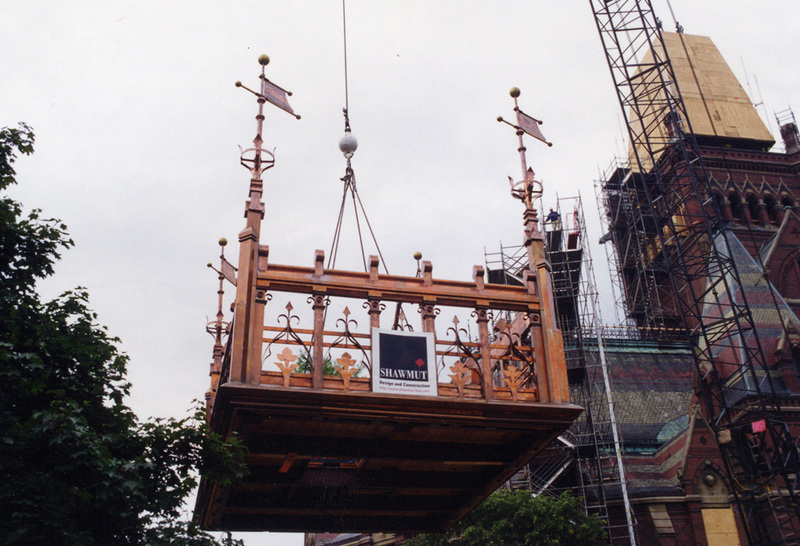 The building remained without the copper spire for many years until Heather & Little joined the restoration team to reconstruct the piece. The job of recreating this hundred year old piece was an exciting challenge for Heather & Little. All of the decorative sheet metal designs had to be copied from remaining original full scale blueprints produced shortly after the Civil War. We partnered with Shawmut Construction of Boston and Boston based roofing company Gilbert & Becker who performed the installation to ensure that this project was a success. 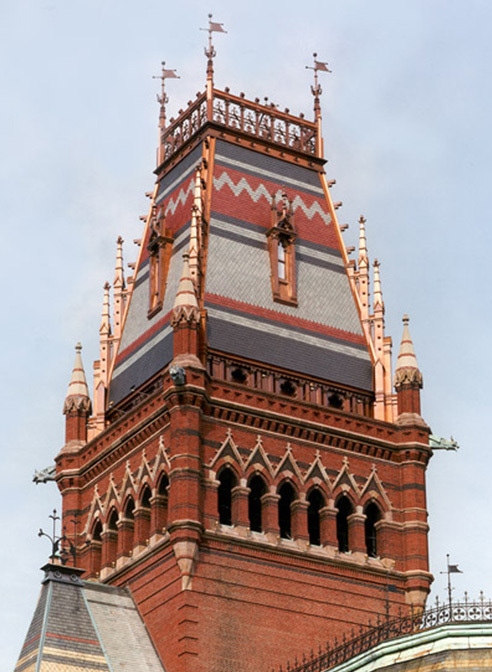 Heather & Little worked directly with CBT Architects, Shawmut Construction, Gilbert & Becker Roofing of Boston, and Harvard to determine the historically correct materials to be used for this project. The intricate copper work had to match the designs and colours of the slate details and patterns, and reflect the image of the building that was created in the 1870s. 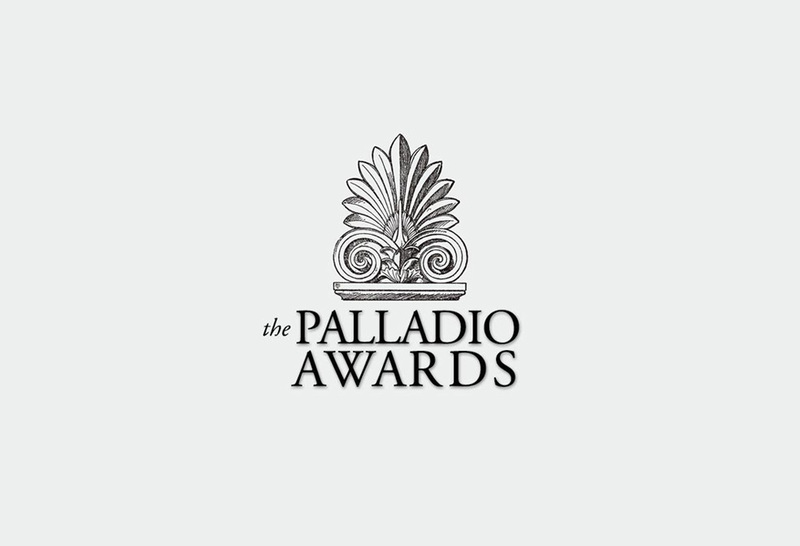 When the building was completed, it was the recipient of the Palladio Award for CBT Architects for the reconstructed spire.